When those of us who aren’t parents are asked to imagine what motherhood is like, most of us think of emotionally-fulfilling moments between a mother and her baby. We may imagine the baby sleeping soundly in her arms, or perhaps laughing cutely and learning to speak his/her first words. 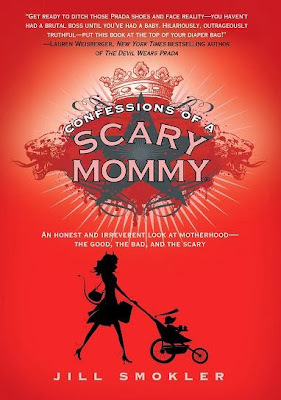 However, as Jill Smokler would have you know in Confessions of a Scary Mommy, these stages of motherhood are very few and far in-between… most of the time is actually spent in a peculiar purgatory. In her book, Smokler tries to explore the whole concept of motherhood and what it really is like for a mother to be raising children, and not to mention a husband, who, according to the book, is perhaps the biggest baby of all time. Smokler dispels virtually all the imagined ideals we had in regards to motherhood, showing us that even the best of mothers struggle quite often, and perhaps even sometimes wonder what on God’s green Earth drove them into such a life, despite loving their children above all else. Jill doesn’t exactly complain though or try to put the reader in his or her place, claiming that she knows the truth while others do not. On the contrary, her approach to the whole ordeal is quite humor-centered, admitting that all the successes and failures during that part of life are nothing but human nature, and one would be hard-pressed to find parents for whom all went smoothly. In the very recent past Jo Nesbo has established himself as a very interesting mystery writer, especially with his penning of numerous Harry Hole novels. He has brought us one solid murder thriller after the next, and with The Snowman he makes no exception. Being another Harry Hole novel, we now follow our beloved hero as he looks into a rather strange disappearance. After the first snowfall, a boy woke up only to see his mother gone, with her only trace being her pink scarf tied around a snowman which seemed to have appeared out of nowhere. To make matters even more intriguing, Harry receives a mysterious letter, and quickly sees the pattern: for the past eleven years, a woman always disappeared on the first day of snow. However, the serial killer Hole is chasing is a far cry from your average madman; being aware of himself and the game he is playing, he has no qualms with breaking his own rules to gain an advantage, or at least prevent things from going stale. As is always the case (so far at least) the story in The Snowman is very solid and put together with a lot of care and attention, even to the smallest details. The first half of the book is basically dedicated to setting the various plotlines in motion, and in the second half they truly start developing, picking up, and eventually, intertwining. There are always superb and unpredictable plot twists and turns that will keep you guessing as to who the killer is, until the very end where all is revealed. If you would ask random people on the street who they believe the best hockey player in the history of the sport to be, chances are that an overwhelming majority of them would answer with the name Wayne Gretzky. However, the man’s grandiose exploits may very well have overshadowed the accomplishments of superb players who could be equally-deserving of that title, with one of them being Bobby Orr. Due to the fact that he played as a defenseman, Orr never could match Gretzky in terms of sheer points, but he was, and some believe still is, head and shoulders above all other defenseman in the game’s history. He received countless trophies for his play and set so many records that some of them are still standing today. 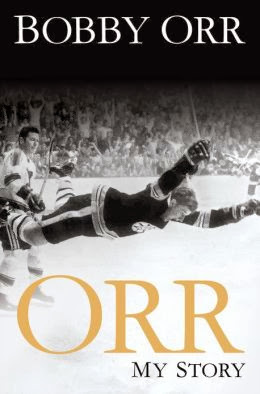 Even though he was a superstar, Orr never really opened up about his own person and the person behind the player, until recently that is, when he wrote the only biographical book on himself, Orr: My Story. 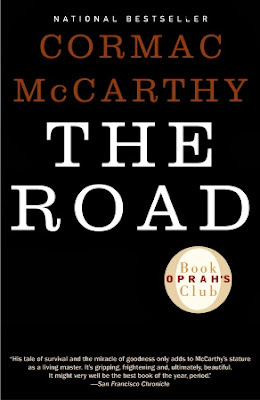 Cormac McCarthy is quite popular in literature circles for his unforgettable novels exploring either the post-apocalyptic world or the dark side of life in Southern places. 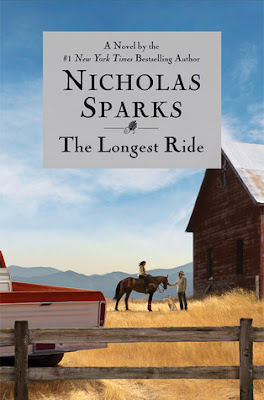 It can be argued that The Road is his one of his more successful novels, and for such a title, its premise is quite simple: a father and son crossing a post-apocalyptic world in hopes of reaching the coast. They have a pistol, some clothes, scavenged food, and each other. They do not know what awaits them once they reach the coast, nor do they know how far they will make it on this journey, for the cold and desolated wasteland known as Earth is patrolled by a brutal, cruel and lawless gang of “raiders” (for lack of a better word). There are no rules, no guarantees, just a very long road on which the unexpected and the unknown await all those who want to cross it. In Police by Jo Nesbo we once again see the return of our beloved and charismatic hero, Harry Hole of the Oslo Crime Squad. This time around, the action takes place in Hole’s home, Oslo, and he finds himself face to face with one of the most dangerous enemies he could ever fathom: a serial killer who targets police officers. As is always the case though, there is more to this killer’s logic than an unbearable disdain for authority; each police officer was murdered at a scene of a crime they failed to solve in the past. 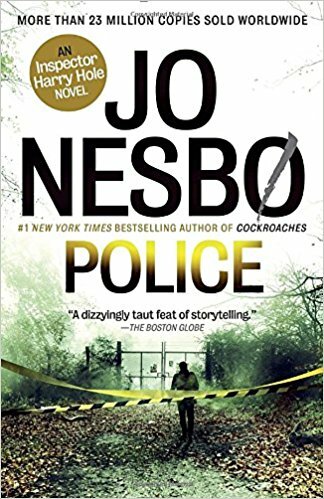 Considering the fact that Harry Hole found himself at the center of virtually every major investigation in the past few years, the question must arise as to whether or not he is also in danger, and if he has enough time left to put an end to the killer’s spree before he disappears for good. Contrary to what we saw in the first Harry Hole novel, Jo Nesbo spent more of his time focusing on the story itself rather than character development, which is what we got last time (for a large part at least). As far as the plot goes, I have to say that even though it doesn’t contain groundbreaking elements to it, it nevertheless remains extremely solid, polished, and satisfying. The mystery behind the killings is fun and interesting to figure out on your own as there are clues here and there as to who the murderer is and why he does what he does… it’s just up to the reader to put it all together. Good day to you all, and welcome back for yet another edition of Gliding Over the World of Literature, where news from the book world flow endlessly forevermore. This time around, we are going to start things off by looking at how a solution to a Shakespearean mystery may have been found, followed by an exploration of some sci-fi titles that flew below the radar, and finishing things off by learning about a more brutal and exciting side to Arthur Conan Doyle. Autism is perhaps one of the most mysteries conditions people on this Earth happen to be afflicted with. Though it certainly doesn’t take away one’s ability to live a life and function in society, it does affect him or her in various ways which can turn life into quite a difficult and painstaking labyrinth. 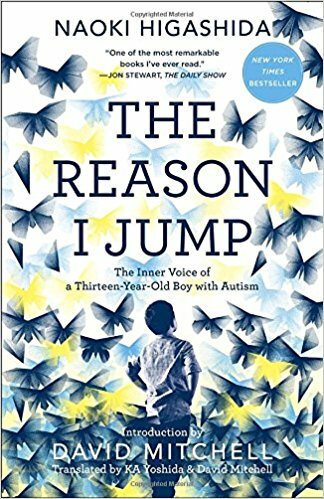 From a medical point of view, the more unfortunate thing is that we do not really know much about the condition, precisely how it affects the human mind, and perhaps more importantly, how autistic people perceive the world. However, we are slowly progressing for the best, and The Reason I Jump by Naoki Higashida may help us to push things much further and faster. To give you a bit of background knowledge, Naoki Higashida is a teenager who is afflicted with severe autism. For many years he did not know how to communicate with the world, falling into isolation and despair. However, with time he was taught a system of communication, to the point where today he can, although somewhat painstakingly, write entire books. The Reason I Jump is basically, at least from what I gathered, Higashida’s attempt at helping the world understand how he and those afflicted with autism perceive the world. In the process of showing the differences between us, Higashida is also trying to demonstrate how in the end, autistic people are perfectly capable of understanding others’ words and emotions, empathizing with them, having dreams, hopes, desires, and more. Ira Levinson is a ninety-one year old man with a whole life of experience behind him. Though he knows his time will soon come, he never thought it would be this soon. After suffering a car accident, becoming stranded and injured, Ira feels the life fleeting away from him, until his wife Ruth starts to appear next to him, which is surprising considering she died nine years ago. Urging Ira to stay awake, Ruth prompts him to remain occupied by revisiting the various events which marked their marriage, from the day they met to the day they parted. 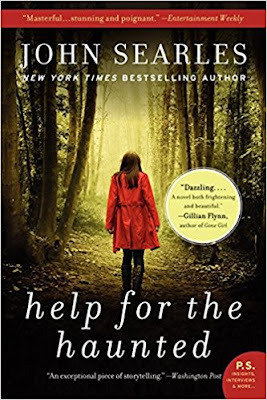 Though the world of literature certainly is filled to the brim with countless thrillers and murder mysteries, I saw new additions are always welcome, if of course, they can bring a solid experience to the reader, if not something new to the genre itself. It seems that a certain number of people were a bit dubious when Jo Nesbo, author of The Headhunters, decided to create his own detective series starring Oslo Crime Squad investigator, Harry Hole. 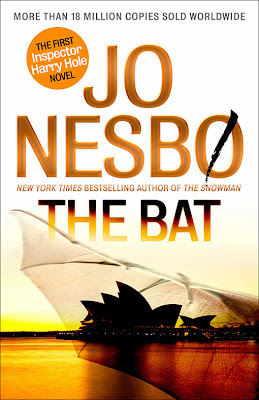 In his first book of the series, The Bat, Jo Nesbo details a peculiar investigation for Harry, as he is dispatched all the way to Sydney to look into the murder of a Norwegian woman. Though his orders were not to get too involved, Harry senses something greater at work, and the closer he gets to the solution, the more alarmed he becomes at his realizations: there is a psychopath on the loose, and those hunting him are perhaps the least safe from his wrath. Many of us have imagined what it would be like to travel back in time, whether purposefully or accidentally, whether backwards or forwards. Though we are all different people, there is no denying that many of us imagine traveling to the past as reverting back to a time when things were simple, more stable and predictable. Naturally, such a feeling comes from our own knowledge of the future people back in the days didn’t have, but nevertheless we can’t help but feel attracted to such a concept. 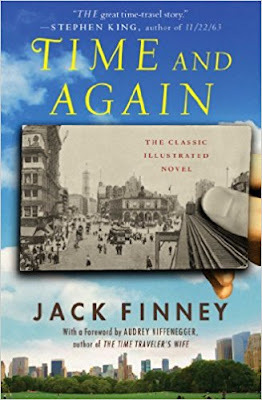 Time and Again by Jack Finney explores this idea, as we are taken on a grandiose journey following an illustrator, Si Morley, who suddenly travels back from the 1970s all the way to 1880s New York. Getting over such strange circumstances rather quickly, Morley walks on through this “vanished” city of the past, reveling in its glory, simplicity, and quaintness. We are being bombarded on a daily basis with various messages which aim to turn love and attraction into a science, with countless advertisements and companies claiming to have the formula that will help you achieve success in that aspect of your life. However, as is often forgotten, human emotions, and especially the more complex ones such as love tend to be quite resistant to scientific scrutiny. 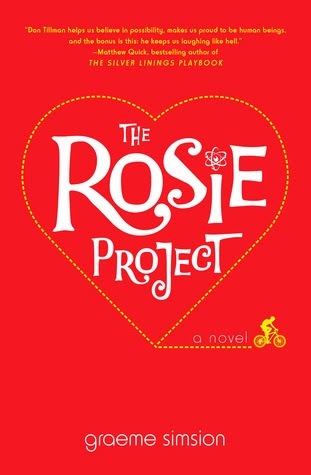 The Rosie Project by Graeme Simsion is a story which explores that concept, as the plot follows a brilliant genetics professor who is socially-challenged and is seeking the perfect romantic partner. To do so, he puts together an incredibly detailed and precise survey which lasts about sixteen pages. Against all expectations, he accidentally manages to find the woman who, in theory, is all he could ever dream of. However, as they spend time together, the professor soon realizes that love can never be made into a science, and that it finds you, rather than the other way around. Sylvie Mason is a young teenage girl who lives a life about as regular as it gets, with one exception: her parents’ profession as they specialize in helping the dead find peace once they reach the afterlife. Though it is certainly a questionable career to specialize in, they cause harm to no one and live out their lives peacefully. One night, they receive a phone call which prompts them to leave. Later, they are both found brutally murdered in a church. A year later, as Sylvie is living with her older sister, her mind starts to become increasingly curious at the mystery which led her to be where she is, and so Sylvie embarks on a quest for the truth, leading her down a very dangerous road where she finds much more than she bargained for. Such is the premise of Help for the Haunted by John Searles, and though it may seem like we are heading for some kind of haunted house horror novel, the truth could not be further than that. There is certainly an element of menace from the supernatural in this novel, but the real story lies in the journey Sylvie has to make in order to find the truth. Her path is about as hard as can be, as the police are pressuring her to make statements under oath, her sister cares little about her, her only other relative is missing, the kids mock her for her parents’ former profession, and to make things stranger, she has numerous encounters which made her question what her parents did with their lives. There is a lot of text in this book dedicated to spiritual and paranormal topics, but the subject matter never becomes too heavy or complex for the reader to follow. Greetings to everyone, and welcome back to our website for another promising edition of Gliding Over the World of Literature. In our twenty-fifth outing we are going to take a glimpse at some of the biggest anachronisms in literature, followed by a look at the twenty most eye-catching and beautiful bookstores around the world, and finishing things off by looking at an interesting book to be published by a whistleblower. North Korea is certainly known around the world as a brutal, cruel and unforgiving place where atrocities are virtually committed on a daily basis, and where the people live under the iron rule of whomever their leader happens to be. 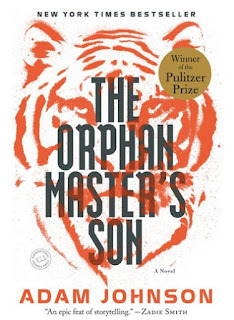 However, it seems that very few works in literature explore that place on Earth, which is why The Orphan Master’s Son by Adam Johnson is a welcome breath of fresh air in the world of books. It tells the story of a young boy, Pak Jun Do, whose mother was “stolen” to Pyongyang and whose father runs a work camp for orphans. Early on in his life, Jun Do proves himself to be a very loyal servant of what he sees as the greatest nation on Earth, and slowly he rises through their ranks until he becomes a professional kidnapper. At that point, his duty, morals, beliefs, values and instincts all start clashing one against the other, until he can no longer stand any of it and does what he believes he must: he becomes the rival of Kim Jong Il, hoping to save the woman he loves and perhaps salvage what is left of his great country. Though recent comedy attempts may have led some to believe that Greenland is covered in ice and Iceland is covered in grass, the truth is that each of them actually deserve their names. Iceland is, as its name would suggest, quite a hostile place in reason of all the ice and snow to be found there. Nevertheless, humans have managed to adapt themselves to virtually all kinds of conditions, and they have settled the small country for a long time now. 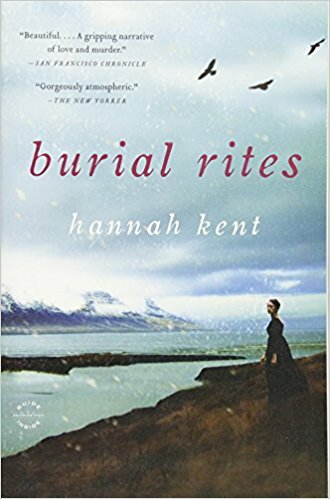 Burial Rites by Hannah Kent takes place in the backdrop of 1829 Iceland, and it re-tells an important and fascinating moment known mostly to those who live there: the life of the last person to be executed in Iceland, Agnes Magnusdottir. We get a re-telling of her story best characterized as a combination of facts and a bit of a novelization. More precisely, we witness her final days as she is housed by a family on their farm while awaiting her destiny to be set. At first, to be frank, I did not think that the last few days of a woman about to be executed could be transplanted with efficiency into a full-scale novel. Thankfully, I was quite wrong on that front as Kent knows how to entertain the reader, providing us with a combination of sumptuous landscape descriptions, informative historical facts, piercing insight into the characters’ minds, and a heart-wrenching story driven by mystery and emotions. 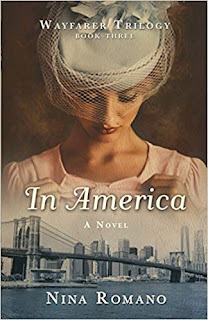 Yes, Kent did use her imagination to fill in some gaps and blanks in the story, but rest assured that for the most part, it remains quite accurate and loyal to the events which transpired. 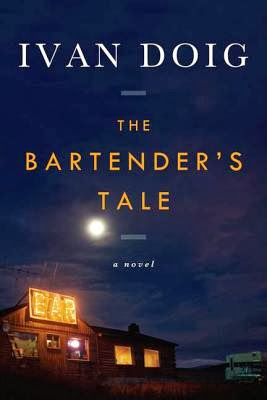 The Bartender’s Tale by Ivan Doig starts off fairly quaintly and innocently, as we are taken into the mind of Russel “Rusty” Harry, an old man who yanks us back all the way to the 1960s, when he was but a boy living in a small town in Montana called Gros Ventre (fat belly in French). He and his father, Tom Harry, led a quiet life as the latter spent his time running the bar, one some qualified as the best in Montana (exaggeratingly of course). The summer Rusty is about to live is one full of wonder; as he makes the crucial transition from twelve to thirteen, his innocent eyes start to open up to the world, they are further pried apart by a cast of colorful and interesting characters. Perhaps more troubling though, a woman from Tom’s past has found her way into town, alongside her daughter, who may very well be the result of a heated night that faded away many years ago. Though the narration is essentially from the point of view of an old man, The Bartender’s Tale shows to us most things through the perspective of that twelve year-old child curious enough to explore the whole wide world. And for the most part, that’s what the story is: Rusty’s exploration of the world in which he lives. Up until now, Rusty has been fed lies, silence, or half-truths in response to most of his more serious questions, and it is just now that he is starting to truly see things for himself, a feeling most, if not all of us can relate to on one level or another. In part, the many characters Rusty comes across drive the story forward, and Doig did a masterful job at creating a diversified, down-to-Earth, memorable and unique cast to guide us through the transition from the child’s world to the adult one. As a matter of fact, I feel as if they play an important role in making the mundane in the story feel peculiar and magical; their various interests, opinions on life and relationships between each other all feel fantastical to a certain degree. All in all, this is a story filled with wonder, hope, disappointment, resentment, love, courage, curiosity, and virtually everything else that comes with leaving the childhood world behind us. I believe anyone who likes coming of age stories will definitely find something to love in this one. Ivan Doig is an American, and has been publishing textbooks and novels dating all the way back to 1972. 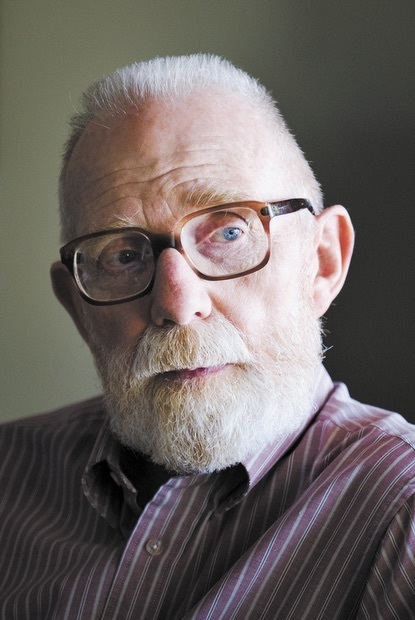 Many of his novels are set in his home state, Montana, and his more renowned works include The Sea Runners and The Eleventh Man. We would like to think that all the Nazis were either trialed or outright executed at the end of the Second World War, but as you probably know, the truth is that countless people, many of them heinous murderers and criminals, have managed to escape the country and change their identities. Even today, the hunt for the few survivors of that lot is still on, and throughout the last sixty years many fell victim to it. 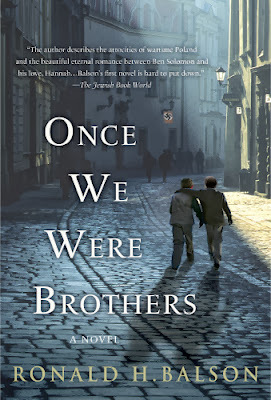 Once We Were Brothers by Ronald H. Balson is partly based on these events, for it starts with a wealthy and respected philanthropist, Elliot Rosenzweig, being suddenly accused of being a Nazi SS officer, nicknamed the Butcher of Zamosc. The man who accused him is Solomon, claiming that when he was but a young boy, Rosenzweig was taken in by his family after being abandoned, only to betray them once the Nazis marched into town. In hopes of proving his story true Solomon hires an attorney, Catherine Lockhart, to help him manage his investigation. As you can very well tell, Once We Were Brothers is the kind of story which has two parts to it. On one hand, we are in modern times and are following Solomon’s efforts to bring the truth to light (or at least what he believes to be the truth). On the other, we are taken back sixty years into the past and get to witness first-hand what happened to Solomon and his family when he was just a child. Only a few years ago Bo Burnham was an unknown teenager making YouTube videos from his parents’ attic. Unlike most other people in such a situation though, Burnham’s sense of humor catered to his many viewers, and nearly overnight Bo became an online sensation. Today, Burnham can fancy himself as a comedian, musician, celebrity figure, and perhaps more importantly from our point of view, a writer. 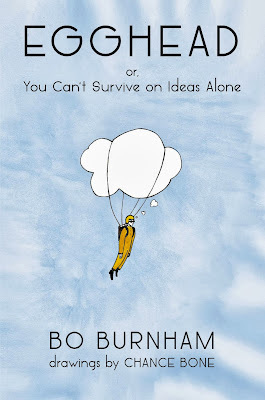 His first (and at the moment of writing this, his only) book is called Egghead: Or, You Can’t Survive on Ideas Alone, and it is not a run-of-the-mill novel, from the beginning to the end. Rather than telling some kind of story, Egghead is really a collection of thoughts, texts, poems and illustrations (courtesy of illustrator Chance Bone) reflecting on virtually all aspects of life Burnham could think of. 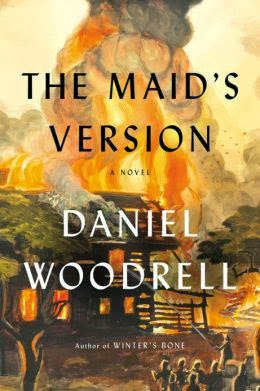 As is the case with most other Woodrell novels, The Maid’s Version is set in the countryside and could very well be qualified as a “country noir” story. In this story, we are presented with a common housemaid who lives in West Table, Missouri, with her husband who is often away and her three children. She serves a prominent citizen, and her life goes about as well as it could considering her position in life. One day, however, the local dance hall is consumed by a gigantic explosion, and the maid’s sister is one of the forty-two caught in the catastrophe. Nobody can surmise what happened, with the potential parties to blame including the St. Louis mafia, the local preacher, bitter local gypsies, and good old plain bad luck. However, the maid believes that she knows who is responsible and that a love affair is at the center of it all. And so, armed with nothing but her brains, she sets out to find the truth and bring the real culprit into the spotlight. First off, if there is one thing The Maid’s Version excels in, it is the description of the small town and its inhabitants. Every detail is given attention and described vividly, but Woodrell never drags on insignificant elements, keeping the story flowing smoothly and relatively quickly. As far as the story itself goes, it is quite dark, and a bit reminiscent of Chinatown with Jack Nicholson in certain aspects. For once, all of the town’s wealthier residents just want to sweep the truth under the rug and never look back on such a horrible event, and you can bet the house that there is a reason for it. Much of the imagery provided in the book is desolate, gut-wrenching, and in some cases, downright horrific, as is the case with the description of the dance hall fire for instance. One of the more interesting things about the story is how the perspective keeps jumping from one character to the next, giving the reader precious insight into how the events unfolded and adding some layers to the mystery while peeling other ones away. I have to say that Woodrell does a fantastic job at always keeping the reader wondering about how relevant to the story some characters truly are, for in some cases their involvement in the whole thing doesn’t become obvious until later on. Details which appear insignificant end up playing a very important role later on, and that’s something the reader needs to keep in mind if he or she is to solve the mystery before reaching the last page. All in all, though The Maid’s Version may appear slightly too formulaic in a few passages to avid mystery readers, in the end everything comes together wonderfully and makes for a story that won’t soon be forgotten by fans of the genre, whether it’s for the lush descriptions or the plot itself. 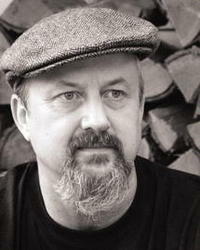 Daniel Woodrell is an American fiction writer mostly known for writing novels that take place in the Missouri Ozarks. Many believe Woodrell to be the father of the “country noir” genre, to which most of his novels belong, such as Give Us a Kiss. Greetings to all, and welcome back once again for yet another edition of Gliding Over the World of Literature, where the world of books is explored from core to core. This time around, we are going to be looking at the latest recipient who had the honor of being awarded the Literature Nobel Prize, the link between reading books and developing empathy, and finish things off with an exploration of how reading books can help you to read people. Hugo is nothing but a small orphan living in a Paris train station, trying to retain his secrets, anonymity, and of course, his life. Though each day is marked by constant struggle, Hugo has an objective in mind: to bring back to working order a small automaton left to him by his death father. However, the machine is of incredible complexity, not to mention that it requires special parts to function. Hugo tries to overcome that challenge by stealing toys from a local store, but one day the owner, a mean old man, catches him red-handed, which ends up being the catalyst that sends them both on an adventure that gets increasingly curious and makes their paths cross with those of many other interesting people. In the end, the book unravels into a grandiose mystery, at the centre of which is a small and never-before-seen robot, a hidden message, a small and overly-talented girl for her age. 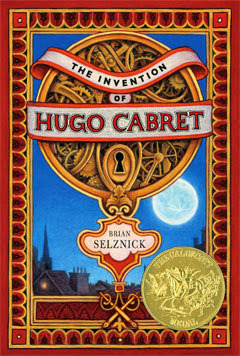 As you can tell, The Invention of Hugo of Cabret by Brian Selznick is more of a children’s book than anything else, but it certainly isn't meant for children only. Adults can find meaning in it as well if they look for it, a bit like with The Little Prince if you will. One aspect which truly adds in that regard are the countless illustrations used throughout the book to bring the story to life. 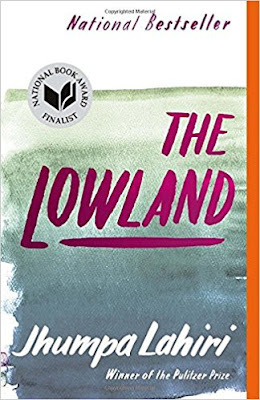 The Lowland is famous author Jhumpa Lahiri’s latest effort, and this time around we are treated to a story set in a similar context as her previous ones, at least in the sense that it is set in India (Calcutta to be more exact) and contains much factual information about a period in history which actually took place. In any case, the main story gets going as two brothers, Subhash and Udayan set out to meet different fates. The former leaves for America to partake in scientific studies in peace and serenity, where none will bother him. The latter, on the other hand, joints up with the Naxalite movement that has for goal to rid the Earth, or at least India, of poverty and inequity. However, tragedy strikes the brothers’ family, and so Subhash must return all the way back home and mend the broken pieces and hopefully salvage what is left. This gets the ball rolling into a story that takes place across three generations, exploring the post-colonial world of India and one family’s struggle during that entire time. Though the novel certainly stands tall on its own (a bit more on that below), I felt like it was below what Lahiri has the habit of cranking out usually. To begin with, the characters themselves and their motivations were quite hard to decipher, in addition to which the interactions between them often seemed more robotic and forced than natural. I don’t know if I wasn’t able to determine whether the characters did what they did for themselves or out of altruistic intentions because of my lack of background knowledge on the Indian way of living, but I did find it to be a detriment. Those of us who live in large societies are aware, or at least know about the tendency to be pushed to live a perfect life. Advertisements, celebrities, magazines, television shows, movies, video games, news reports, and all other sources of media bombard us on a daily basis with perfect perceptions that we are then drawn to follow. In other words, we are being pushed towards becoming perfect beings, and it wouldn't be all too bad if most of us didn’t use the standards set for us to determine how successful and worthy our lives truly are. 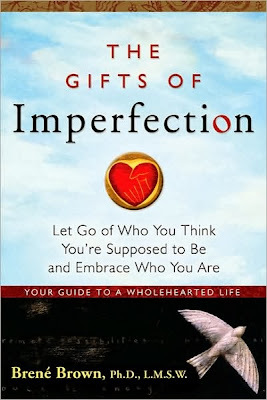 In The Gifts of Imperfection, Brene Brown discusses in-depth this concept of being pushed to perfection and nothing less, and also touches on the subject of concrete things we can do in order to make our perceptions of ourselves more realistic. Manuel Perrine is fresh out of jail, and the first order of business for the renowned cartel leader is to get revenge on the one man that managed to put him behind bars: Michael Bennett. In Gone by James Patterson and Michael Ledwidge, we get to witness the intense battle of wits between Bennett and Perrine, as the former terrorizes America by conducting numerous assassinations across the entire country, while the latter throws everything but the kitchen sink in an attempt to put a stop to this. However, as is always the case, it seems as if Perrine hasn’t declared war on America for no reason but his own enjoyment, but rather because it is all part of his grand master plan. Gone certainly has all the ingredients to make a classic James Patterson novel as we know and love them, but to get the negative stuff out of the way first, it does falter on more than one occasion. For starters, the book feels a bit heavy when it comes to the amount of political commentary in it, especially in contrast to the amount of content present on the subject of character development. Also, it seems as if some of the book’s characters like to forego common sense in favor of illogical actions that make the story advance in the way Patterson and Ledwidge wanted it to. In other words, it seems as if they ran out of inspiration at certain parts of the story. The Gravity of Birds is the first effort and debut novel of writer Tracy Guzeman, and nevertheless she chose to tackle a few complex subjects in it, but more on that a bit later. To give you an idea of what the book is about, it starts off by presenting to us two drastically different sisters, and a struggling young painter whose charms have an effect on the younger of the two sisters. Fast forward one summer, and their lives are ruined forevermore. A few decades later, the painter, now a renowned worldly celebrity, unveils the captivating portrait he made of the two sisters and himself a long time ago. Before selling it through an art history professor, Bayber (the painter) wants the two sisters to be found, something that won’t prove to be easy as they have vanished without a trace a very long time ago. The exploits of those who fight and die during wars tend to be forgotten as the years go by and all the knowledge people have of the events becomes increasingly generalized. As unfortunate as it may be, countless heroes are become forgotten every year, with some of them never having been known in the first place. Such is the fate of the many men who were part of the 506th Airborne Division in the United States Army. 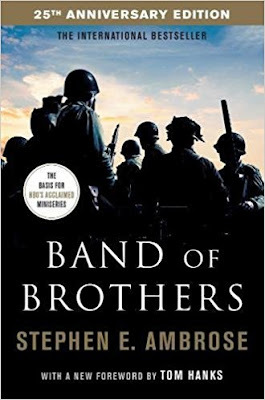 As Stephen E. Ambrose details it in his book, Band of Brothers, members of the 506th Airborne were always given the toughest and most dangerous assignments. The suffered countless casualties and ended up going through virtually all the deadly perils known to man, including hunger, freezing, bombs and bullets. In Band of Brothers, Ambrose basically aims to reconstruct the picture as to who the men of the 506th were, and what they had to endure over the years in the name of their country. In order to collect his information, Ambrose had to do a healthy dose of research in peer-reviewed materials, but that’s not the most interesting part. That honor goes to the hours upon hours of live interviews Ambrose managed to conduct with the few surviving members of the 506th. In these instances, we are not only learning about their stories, but rather, we see them recounted to us from a first-person perspective by the ones who actually lived them. Greetings to all, and welcome back for yet another edition of Gliding Over the World of Literature, where news from the world of books never cease to capture our attention. In this twenty-third edition we are going to start off by commemorating Tom Clancy’s life, in light of his recent demise. We will follow that by taking a look at what is believed to be the oldest Jewish prayer book in existence, and finish things off by taking a glance as to how the Literature Nobel prize is really chosen. 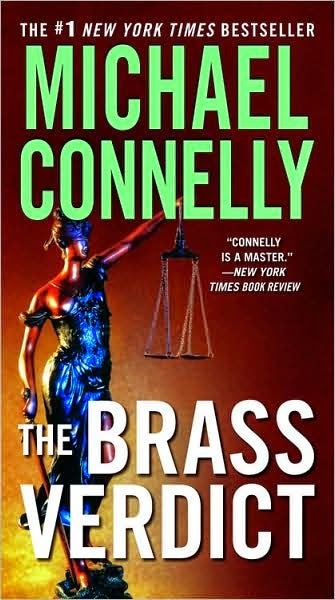 In The Brass Verdict by Michael Connelly we see the return of two beloved characters, mixed together in the same story. On one side, we have Mickey Haller, the infamous Lincoln Lawyer, who after struggling for two years has finally bade it back in the courtroom. What’s more, he has been tasked with defending the suspected killer of a Hollywood Lawyer, a studio executive by the name of Walter Elliott. However, Haller learns through his own channels that not only is Elliott innocent, but that the real killer is still out there and is coming for him next. At this point, we enter the second character, Harry Bosch. Hell-bent on finding the real murderer, decides to work together with Haller in order to bring that free-roaming maniac exactly where he belongs. Though at first the premise of mixing these two characters from different books may sound a bit too far-fetched to work successfully, Connelly, merges the two characters’ worlds fantastically. They balance each other out quite well, as the young and ambitious lawyer serves as a counter-weight to Harry Bosch whose tragic life experiences have left with a dark outlook on life. This time we even get to see both sides of the law working at the same time, witnessing how Bosch and his police force hunt down the criminal while simultaneously being presented with detailed accounts of Haller’s work and the events in his courtroom. 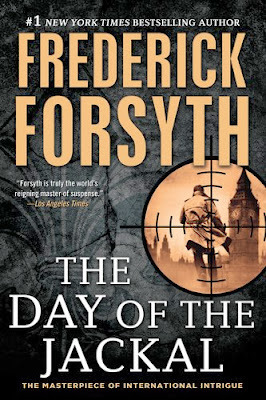 Over the years, Frederick Forsyth has brought to us innumerable classics of literature, and many people, myself included, would say that The Day of the Jackal is his magnum opus. Just to get things straight, though the book is about an assassin, it doesn’t have any big gunfights, interminable hand-to-hand combat scenes, car chases, nor explosions. Rather, what it does have is a very detailed and finely-crafted plot, following the young British assassin known as the Jackal as he prepares for the hit on Charles de Gaulle, the French President of the time. At the same time, the French police has caught wind of the whole ordeal by sheer luck, and they have set their best detective on the task of finding the Jackal, without any knowledge of who he is or even what he looks like. I like novels which touch on the subject of hitmen and assassins, which means I’ve read my fair share of them… and I have to say, The Day of the Jackal sits atop my list as the number one book on the subject. True to his style, Forsyth keeps everything realistic, crafting an intricate plot full of mystery on one side, and suspense on the other. We don’t get to learn that much about the Jackal, other than how he prepares for this job. He is very methodical and intellectual in his approach, trying to take care of every single little detail to ensure that one shot he fires will hit. It’s actually quite refreshing to see an assassin who takes his time and uses his brain, rather than the traditional machinegun-toting Hollywood hitman. The crime of murder is certainly not something new (it can be argued that the concept existed long before humans were even existing), but the invention of technologically-superior killing tools has certainly made the job much easier. It seems that in recent years the United States have seen a rabid increase in public shootings, especially ones where an angry teenager is the perpetrator. 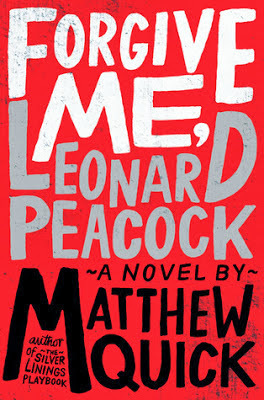 In Forgive Me, Leonard Peacock by Matthew Quick, we enter the mind of such a person, as we follow a young teenager, Leonard Peacock, during what he plans to be the last hours of his life. In a few hours, he will use his grandfather’s World War II service pistol to murder his ex-best friend, and then take his own life. Before he sets out on this journey though, he feels the need to write four different goodbye letters to the people who influence him the most: his neighbor, a Christian homeschooler, his classmate and violin virtuoso, and his school’s Holocaust teacher. Being an immigrant certainly isn’t easy, as for most people it is a process which entails with itself some kind of loss, whether we are talking about people, objects, or even territory. 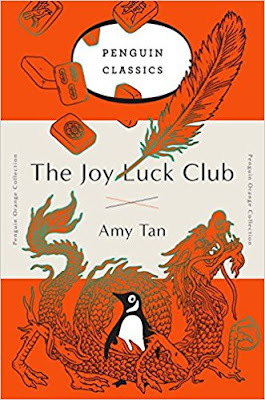 The Joy Luck Club by Amy Tan tells the story of four Chinese women who have recently immigrated to San Francisco (the story begins in 1949). Though each one of them has experienced loss and tragedy on a certain level, they all decide to meet together to raise their spirits and try to find the silver linings to their lives, all while eating dim sum and playing mahjong. As forty years pass, the four women reveal more about themselves, the lives they have left behind, and the demons that haunt them, finding wisdom in their tragedies as well as reasons to keep moving onwards.